Yorke Dance Project is a dynamic contemporary dance company under the artistic direction of internationally-renowned dance choreographer Yolande Yorke-Edgell. Over the past fortnight I joined international dance company, Yorke Dance Project, and rekindled my role as Professional Pathways Participant, a position that I was introduced to last summer and involves partaking in company class, learning repertory and being involved in their creative process. This is a fantastic opportunity for young dancers wanting to gain real experience of being involved with a professional company. 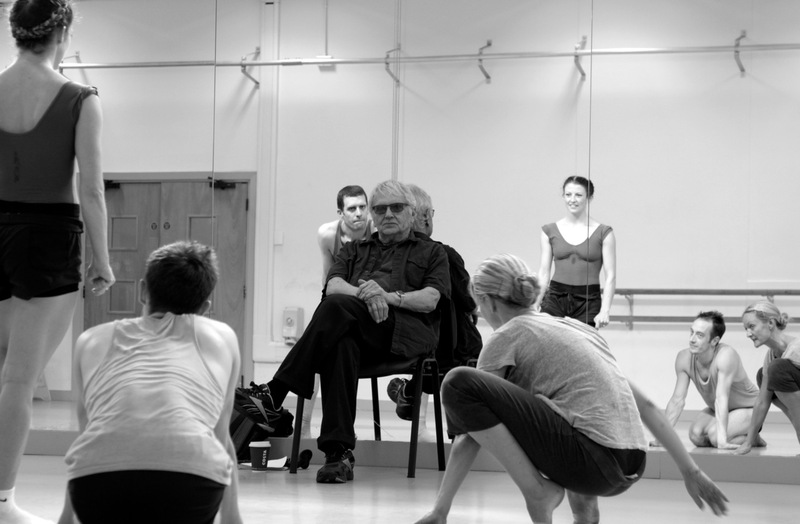 Yorke Dance Project has just finished a four-week creation period with the legend that is Robert Cohan CBE. The period ended with a sharing with various guests who applauded the work, being left in awe by the talent of the dancers and Cohan’s strong direction. This piece will tour along with three others in 2015 as part of Figure Ground, a programme that comprises of work from three generations of choreographers, including their Causeway Young Artist in Residence, Charlotte Edmonds. Yolande Yorke-Edgell, founder and director of the company is delighted to be working with Cohan. Cohan was taught by Martha Graham and became the Co-Artistic Director of the Martha Graham Dance Company in 1962 for the company’s European tour. In 1967 Cohan was especially invited by dance patron Robin Howard to pave the way for what we know of contemporary dance in Britain. He became the first Artistic Director of the Contemporary Dance Trust, and in turn The Place, London Contemporary Dance School and London Contemporary Dance Theatre, which he directed for 20 years. In March 2015 The Place will be celebrating Cohan’s 90th birthday with a night in his honour. Cohan’s piece on Yorke Dance, entitled Lingua Franca, is a development of Agora (1984), performed by London Contemporary Dance Theatre. This version, a quartet, experiments with the physicalisation of how different languages can intertwine, bringing together people from different backgrounds, and their individual and quirky movement vocabularies. The music by JS Bach remains and will be played live by musician Eleanor Alberga. Lingua Franca translates from Italian to mean a language that is spoken between people who speak different languages, this resounds in the piece as the four dancers come together from their own worlds of bodily exploration. The cast of Lingua Franca display delicacy and strength in the movement. Their styles twist together with a final image of solidarity, as they clasp hands and stare into the distance. The dancers display a level of technical capability that allows them to execute classically demanding positions. Contractions are scattered throughout the piece, initiating various turns and jumps, referencing Cohan’s strong influence from Graham. After watching BalletBoyz a few weeks ago and applauding their finesse and skill, I thought that this was matched and perhaps surpassed by seeing Kieran Stoneley and Jonathan Goddard as I observed them embody Cohan’s style. The two men glide with ease while the two women; Yorke-Edgell and Laurel Dalley Smith own the space with lines that appear to stretch beyond the horizon. 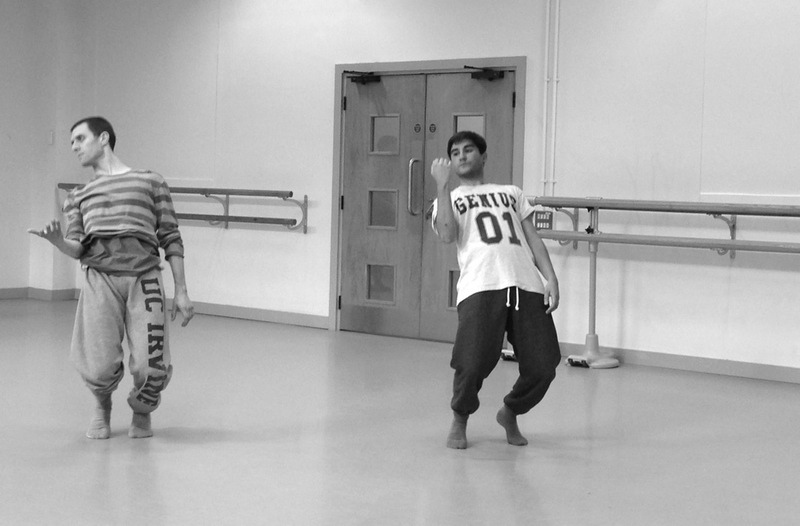 The company work to perfection; with a commitment that means with every run through they are gasping for air. However, they did happen to have more to give when Richard Alston came along to give his input of Cohan’s choreography! It is refreshing to see contemporary work being made with roots deep in modern dance amidst a time dominated by interdisciplinary performance art, which I have seen to lack the actual dance element of contemporary dance. Lingua Franca, along with the rest of the pieces included in Figure Ground, certainly doesn’t have a shortage of high-energy, technically demanding and beautiful movement. As soon as the tickets come out for this tour in January 2015 I would recommend jumping on board! It is becoming increasingly rare to watch dance today that has been touched by the many greats who we are often eager to rebel from in an attempt to deconstruct and mould new dance practices. Figure Ground will take you on a generation relay passing the choreography baton from Cohan, to Yorke-Edgell, to Edmonds, sparking up an interesting debate as to how contemporary dance has changed from the late 20th century into the 21st century. FIGURE GROUND – YORKE DANCE PROJECT from Gavin Mitford on Vimeo. A fast-paced ensemble work that vividly expresses the sheer pleasure of movement, it is a collaboration with visual artist Sally MacKay who has created large-scale panels as a backdrop to the choreography. A stunning re-imagining in dance of Larry Cuba’s pioneering computer-animated film 3/78 [Objects and Transformations]. In the film, sixteen objects – each consisting of one hundred points of light – ‘perform’ a series of precisely choreographed rhythmic transformations. Unfold to Centre, into which the original film footage is integrated, is enthralling, technically complex and underwritten with a quiet humanness. A solo originally choreographed in 1978 for Canadian dancer Susan Macpherson and now specifically reconstructed for Yolande Yorke-Edgell. Until now, only performed once in the UK, the solo is set to songs by Geoffrey Burgon inspired by the poems of the sixteenth-century mystic St John of the Cross, and which describe the soul’s journey through the noche obscura. A quartet, set to music by JS Bach, the work will bring to life the eloquent and expressive movement typical of Cohan’s work.